TRADITIONAL TERRITORY: Unceded Inuit territory. Pauli Illuitok has demonstrated a respect for the land through the Inuit Qaujimajatuqangit (IQ) Guiding Principles, the Inuit knowledge way of knowing and being. 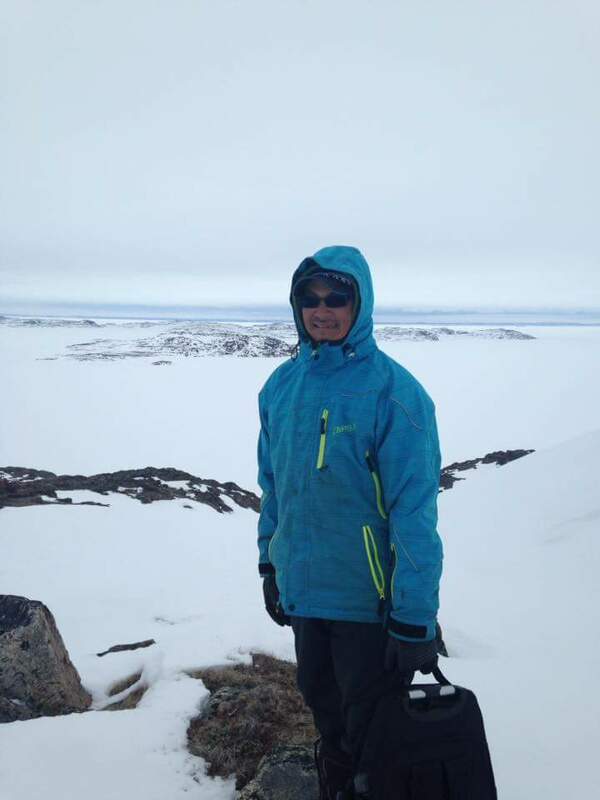 Pauli practices Inuit traditions of hunting and camping, guided by the IQ guiding principles, specifically through Avatimik Qamatsiarnik, the concept of environmental stewardship and Inuuqatigiitsiarniq, the concept of being respectful. Pauli shows his passion for the environment by practicing these IQ guiding principles when hunting for animals to provide for his family and community. These principles guided Pauli as he created a research project called Melting Ice for Safety. The project recorded a time-lapse video of the breaking up of ice around Kugaaruk during the spring and early summer. The MIS project was able to provide better insight into the speed and patterns of sea ice breakup during the spring months, which was then shown to hunters to understand the quickly changing Arctic sea ice. The time-lapse video was recorded from May 4-6, 2016 and August 8-10, 2016. The video was then shared with the Canadian Rangers and the community of Kugaaruk for planning alternative routes on the ice, enhancing the safety of community members who go camping and hunting in the spring. Melting Ice for Safety is one of three winning recipients of Polar Knowledge Canada’s 2016 POLAR Inspiration Grants, a collaboration of the Students on Ice Foundation and POLAR, to support Students on Ice Arctic Alumni. He further showed his IQ guiding principles of tunnganarniq (the concept of being open and welcoming), when he was open to a different way of thinking; pilimmaksarniq (the concept of skills acquisition) and qanuqtuurunnarniq (the concept of being resourceful to solve problems), when he learned a new skill to solve a problem his community was facing; and for the purpose of piliriqatigiingniq (the concept of working together for the common good) and pijiqsirniq (the concept of serving your community). Pauli embodies the IQ guiding principles, inspiring those around him through his actions and openness to other solutions. He has shown that there has to be a relationship between Inuit culture and Western Science, each playing a part in a solution, and both integral to better navigating the rapidly changing Arctic sea ice.